IO HAWK Intelligent Personal Mobility Device | Nerd Much? You’ve probably seen one of these babies somewhere by now (like here or here) and wondered just what the hell it actually is: the IO HAWK Intelligent Personal Mobility Device. 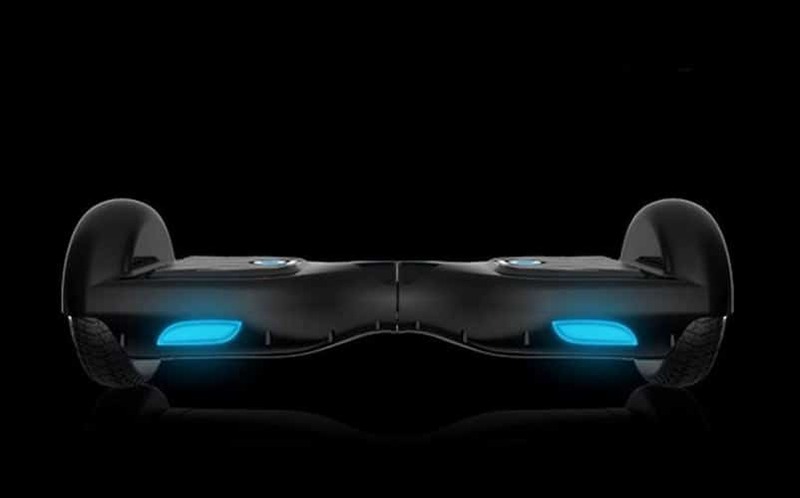 It looks like something out of the future, but the IO HAWK is actually on the market right now. What is it? It’s part skateboard, part Segway, and part cool futuristic way of travelling. You know how Marty rips the handles off of that kid’s skateboard in Back to the Future and then he uses it as just a regular skateboard? That’s sort of what this device is like, only “Marty” is IO and the HAWK is a Segway. It’s a cool gadget that you stand on, and it accelerates and decelerates based on the shifting of your weight on the foot grips. It reaches a top speed of 6.2 MPH (which is roughly twice the average walking speed for those keeping score at home). It’s fully charged in just 3 hours, and it has a 10-12 mile range on a single charge. It features cool glowing lights in the back while it is in motion. The IO HAWK is a reinvention of the way you travel. We’ll note that while the IO HAWK is the most popular, it is also the most expensive of these devices on the market. There are many others out there on Amazon, including one for just $330 that is highly reviewed and reaches 10 MPH. However, we’ve heard that the IO HAWK is the most secure. For more ridiculously cool stuff you probably don’t need, stay tuned to Nerd Much.